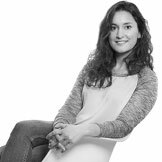 Lucia was awarded a BA in Art History and Aesthetics and a Diploma in Digital Marketing and E-Commerce at the University of Chile. She was born in Montevideo, Uruguay but left at an early age and lived in many other countries throughout the world. Her international upbringing was a formative experience that taught her valuable lessons in human relationships and multicultural interactions. Work experience has varied from art restoration and archive research to freelance film production. Her work has brought her closer to the design field, where she has developed a passion for the symbiotic relationship between humans and the interiors they inhabit. Her research training enables her to produce in-depth designs that centre on humans as individuals but also as a collective; at the same time providing solutions that take into consideration the different challenges that shape our lives today, such as sustainability and equality. Lucia now works for Base Interiors.